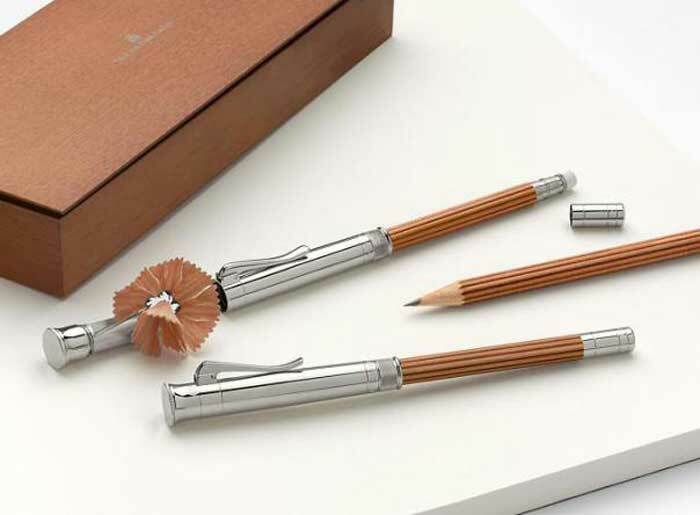 A limited edition of the Graf von Faber-Castell Perfect Pencil is the world’s most expensive pencil. This device is no ordinary pencil, but is made for writing, correcting and sharpening. A sharpener is built in as well as a replaceable eraser. At $12,800 this classic pencil is crafted with 240 year-old olive wood and 18-carat white gold, and includes a handy built-in eraser and sharpener! Not to be outdone by the world’s most expensive pens, it also features three diamonds.